Ambiente has done it again! 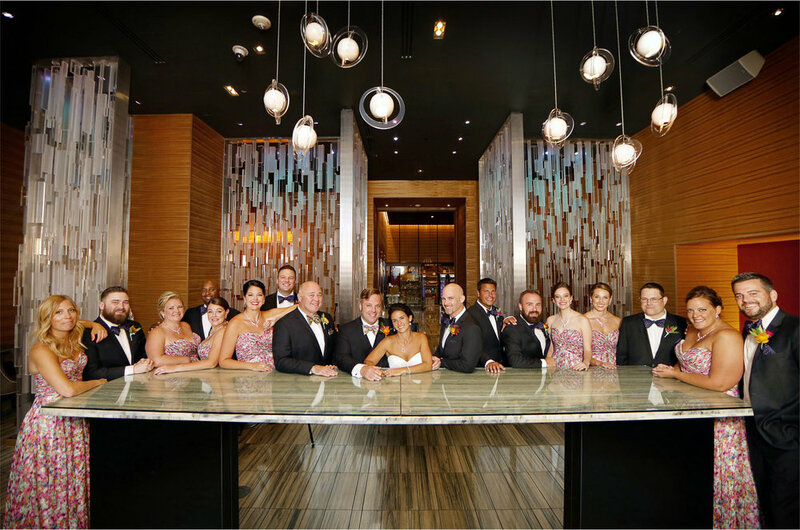 Joan put together the best hearts to surround Lindsay & Dustin on their special day, which started out at the fabulous Loews with the talented John Hoel, of Vibrant Film, filming every last make-up touch. It is the best part of my job when the couple getting married already feel like close friends to me, as we have swapped gifts and even had dinner together along the journey. These two giving spirits surround themselves with incredible people in life and you could feel the energy in the room at the Church of St. Albert the Great and also arriving to the Town and Country Club. In between we made a stop at one of their favorite hangs in St. Paul to throw some darts, grab some pitchers, and just act like it was just another day after baseball. I feel like this will be the scene still for many wonderful years to come. We are so happy for you!